Luxembourg is a civil law jurisdiction and has experience in fraud cases. Its entities are often involved in international groups of companies, making Luxembourg vulnerable to company fraud and other fraudulent schemes that make use of complex legal set-ups. Its mature banking and funds industry also attracts white-collar crime. Some major international frauds, such as the Madoff scandal, have hit the Grand Duchy, and many fraud cases have been tried before the courts in Luxembourg. Claimants will have to rely on a wide range of criminal and civil remedies to conduct successful proceedings for recovery or compensation. Although the Criminal Code (CrimC) and other statutes regulate certain peculiar cases of fraud, there is, strictly speaking, no specific compensation for fraud victims other than restitution of the victims' defrauded property and the common civil liability rules to recover damages. A fraud victim will usually pursue compensation through a liability suit for the recovery of damages that have been caused by an act of wrongdoing. A claimant will be required to establish an act of wrongdoing (or fault), damages and causality. Fraud victims can use contractual liability and tort2 to allege, inter alia, breaches of contract, contractual fraud3 and serious misconduct. In some cases, an abuse of right4 may also support a fraud claim. If the fraud was carried out by directors of a company in which the victim is a shareholder, the claimant may choose to base its liability suit on the provisions for directors' liability of the amended Law of 10 August 1915 on commercial companies (LCC) if it can show corporate mismanagement or a violation of the LCC, accounting rules or the company's articles of incorporation. In most cases, the company will have to file suit. In a société anonyme, a société européenne, a société en commandite par actions and a société par actions simplifiées, it is possible for a shareholder or a group of shareholders holding at least 10 per cent of the voting rights to bring shareholder derivative suits against company directors. A claimant is only entitled to lawful, certain, direct and personal damages. Punitive and symbolic damages are generally excluded. If the suit is based on a breach of contract, the alleged damages should also have been foreseeable at the time of conclusion of the contract. Another option is to claim recovery of undue payments6 if the fraud involved any form of payment.7 Interest and other amounts yielded in this respect may also be claimed back if the payee acted in bad faith. One final remedy is to have a contract voided based on contractual fraud or on the legal maxim fraus omnia corrumpit, in which case restitution may be claimed. Under Luxembourg law, both natural persons and legal entities can be held criminally accountable, and there are a number of fraud schemes that are considered offences according to the CrimC and other statutes. As concerns corporate finance, Article 1500-3 LCC considers that anyone who caused payments, subscriptions, share acquisitions, bonds subscriptions or acquisitions of any other kind of corporate title through fraudulent means is guilty of swindle. Fraud victims might also wish to direct their claims against the persons who were directly or indirectly involved in the fraud by filing a complaint for aiding and abetting.13 Concealing things obtained through a criminal offence is also considered a fraud,14 and victims can rely on this offence to claim compensation from the persons who aided the fraudster by concealing the product of the fraud. A number of defences can serve to resist fraud claims in court. It will generally be argued that the conditions required for a successful fraud claim have not been established. A defendant to a fraud claim can make the suit disappear entirely by arguing that the limitation period has expired. Liability claims are normally covered by the common 30-year statute of limitation,17 but the commercial 10-year limitation period may apply18 where the relevant acts are commercial in nature or hybrid commercial–civil acts. A fraud victim can resort to a third-party attachment to attach or secure the assets owed by a third party to the fraudster. During the first phase (which is often referred to as the conservatory phase), a creditor attaches the assets of his or her debtor that are held or owed by a third party (often a bank). During the second (or enforcement) stage, the creditor gets the attachment validated in court so that it can obtain payment on the attached assets from the third-party debtor in lieu of his or her own debtor. Attachment proceedings are ancillary in nature and are merely a conservatory action during the first phase that aims to put the attachment in place. The first phase is completed by having three separate notices served by a bailiff on the debtor and the third-party debtor. Once the deed of attachment is served on the third-party debtor, the attached assets are frozen, meaning that the third party is prohibited (under the penalty of personal civil liability) to remit any funds or assets to the fraudster. that if the claimant already has a foreign judgment, that it should make sure that the judgment is recognised and rendered enforceable in Luxembourg (see below). In cross-border situations within the European Union (other than the United Kingdom and Denmark), it is possible to apply for a European Account Preservation Order (EAPO) in accordance with Regulation (EU) No. 655/2014. the debtor will be informed of the preservation measure at a later stage only once the concerned judicial authority, having rendered the EAPO, has received the declaration concerning the preservation of funds by the bank or banks. An EAPO does not allow a claimant to obtain payment on the preserved bank account. The latter is subject to national proceedings, meaning that if preservation is effected in Luxembourg, a claimant will have to convert its EAPO into an enforceable bank account attachment according to Article 718-1 NCCP. The general system of confiscation under Luxembourg law is conviction-based.29 Article 32 CrimC specifies that confiscation always applies to crimes, but that its application to felonies is optional. Under the general system, courts can resort to extended confiscation, meaning that the proceeds and the instrumentalities of the offence, as well as their respective products, can be forfeited. Confiscated property belonging to a fraud victim (including substituted property) can be restituted.30 The victim can also claim restitution of substituted property. A more extensive confiscation regime applies to certain offences such as money laundering,31 which also authorises third-party confiscation, value confiscation and non-conviction based confiscation. The process of obtaining evidence to support legal proceedings in Luxembourg differs to a great extent with most common law jurisdictions. There is, for example, no discovery procedure. Article 350 can only be relied upon if no proceedings have been commenced on the merits. An applicant will be allowed to request lawful investigative measures or the production of evidence if it has legitimate cause, and the applicant will have to show that the outcome of the lawsuit is influenced by the facts at issue. There is, however, no requirement to show urgency. To avoid fishing expeditions, case law has also added that where an applicant is seeking to obtain evidence from its adversary or a third party, it should establish that the requested documents do (or are likely to) exist, and should include a detailed description of those documents in its application.35 The Court of Appeal36 recently confirmed that Article 350 NCCP cannot serve to obtain documents located outside Luxembourg. Article 933(1) NCCP can also support a request for pretrial evidence, but is rarely used in practice since it requires showing an imminent loss of evidence. If the management is suspected of fraud, Article 1400-3 LCC allows any shareholder or a group of shareholders holding at least 10 per cent of the share capital or the voting rights to address written questions to company management on specific operations. Under certain conditions, these questions may extend to operations carried out at the level of a subsidiary. If no answer or an unsatisfactory answer is received within a month, a request can be made in summary court for the appointment of a management expert tasked with enquiring into the litigious operations. Parties can also request to obtain evidence while proceedings are ongoing. should be relevant to the outcome of the lawsuit. An examining magistrate is able to resort to a very large panel of investigative measures that are not available under civil law such as seizures, hearings, confrontations, surveillance and infiltrations. The examining magistrate will usually try to trace the proceeds and instrumentalities of the fraud. To mitigate the effect of bank secrecy in this respect, the law40 allows an examining magistrate, under certain specific circumstances, to order the following bank disclosures: information as to whether the accused holds or held an account, controls or controlled an account, or if he or she has or held a proxy over an account; and all banking operations that have been or will be performed on the bank account of the accused during a specified time frame. Fraud can include acts of money laundering, and money laundering can have been carried out to conceal the proceeds of a fraud. The offence of money laundering43 is in essence the act of knowingly facilitating deceit as to the nature, origin, location, disposal, movement or ownership of any kind of asset obtained criminally. In Luxembourg, a person can be sentenced for money laundering rather easily. According to current case law, the predicate offence needs not to have been prosecuted or dealt with in court.45 A judge can find a person guilty of money laundering where he or she has been convinced by the evidence filed in court that a predicate offence took place. The CrimC further incriminates accomplices to money laundering offences as well as attempts to commit money laundering. Luxembourg law supplies remedies to fraud victims in cases of insolvency. Some remedies can be utilised when there is strictly speaking, a case for insolvency (i.e., higher assets over liabilities), while other more tailored remedies can only be applied once bankruptcy has been declared by a court (meaning that the fraudster's payments have come to a halt and that it is no longer creditworthy). These remedies are not intended to provide direct compensation to fraud victims, but are generally designed to reinforce the victim's position through clawback possibilities and bankruptcy extensions. There are essentially two remedies available according to the CC if a debtor is insolvent: the derivative action and the actio pauliana (fraudulent conveyance). To have the appropriate standing to sue, the victim will have to show with both actions that its debtor is insolvent. A derivative action47 aims to recover assets from third parties on behalf of the insolvent debtor to increase its estate where that debtor is (wilfully) refraining from action. A derivative claim is, however, subject to stringent requirements. If a fraudulent conveyance was performed by its debtor, the victim will be allowed to have the transfer annulled by initiating an actio pauliana.48 The victim should prove, inter alia, that the transaction was performed with intent to defraud the creditors by enabling the debtor to become insolvent or aggravating its insolvency. If the transfer was performed against consideration, it must be shown that the third party with whom the debtor transacted was an accomplice to the fraud. A fraud victim has better options once the fraudster has been declared bankrupt. The downturn is that the victim will have little control over the proceedings, since only a court-appointed bankruptcy receiver is empowered in most cases to pursue claims on behalf of the bankruptcy. Fraudulent transactions (i.e., transactions that are detrimental to the bankrupt entity's creditors) can be challenged even where they occurred before the hardening period.52 This is an application of the actio pauliana to bankruptcy. A fraud victim could benefit from a personal bankruptcy order against the fraudulent directors of a company because it will expand the estate that will be available for compensation. The bankruptcy of a company may be extended to the directors53 of a bankrupt company if they used the corporate veil to act in their personal interest, used the company's assets as if they were their own, or carried on, for personal gain, an unprofitable business that could only lead the company into bankruptcy.54 The sanctions provided by Article 495 ComC are not applied automatically and will depend on a case-by-case appreciation of the facts in court. Certain behaviours are also considered offences under the bankruptcy rules (fraudulent bankruptcy),57 and may serve to bring a subsequent liability claim against the fraudster. The drawback is that any order for damages arising from such a lawsuit will rank pari passu with unsecured creditors. While Article 1225 NCCP excludes the possibility of submitting certain matters to arbitration, case law considers that a dispute is not in itself inarbitrable just because an arbitrator would have to apply rules of public policy to resolve the dispute.59 Applying this legal precedent may theoretically mean that arbitrators would have jurisdiction to determine whether someone committed a criminal fraud to allocate civil damages to the victim. There should not be any hurdle to arbitration for civil compensation if the fraud is a purely civil type of wrongdoing that does not involve any kind of criminal offence or if the fraud is already recognised in a criminal judgment. The law does not, however, grant arbitrators the express authority to order interim measures, and the rules of arbitration of the Luxembourg Chamber of Commerce are also silent on this issue, so it is unclear whether interim measures ordered in a Luxembourg award would have any effect. A party can make a plea for forgery during a civil suit if it considers that a certain document filed with the court as evidence is forged.60 The procedure is quite cumbersome and to some extent adversarial. The party making the plea should indicate why it believes the document is forged and, if the court considers that there is reason to believe that the document is forged, it will allow the applicant to prove its allegations and will order an appraisal by three experts. If the procedure is successful, the court will strike the document of the record. Both the Rome I Regulation61 and the Rome II Regulation62 are universally applicable. Therefore, if a fraud claim has an international aspect and is brought before the courts in Luxembourg, the courts will usually resort to these Regulations to determine the applicable law (unless the claim is not caught or is specifically excluded from the scope of these Regulations). the law of the jurisdiction with which the circumstances of the fraud are closely connected. If foreign law applies to a claim brought in Luxembourg, case law considers that the applicant bears the burden to prove the substance of the foreign law. Parties will usually rely on legal opinions issued by foreign practitioners to that effect that are filed with court. Luxembourg courts would also be able to make a request for information on foreign law in accordance with the European Convention on Information on Foreign Law of 7 June 1968. There are many laws, regulations, conventions and bilateral treaties that apply in this respect. Their application depends largely on the jurisdiction issuing a request to Luxembourg and the nature of the dispute at stake. Below is a brief description of the instruments most commonly applied. In civil and commercial matters, if a request originates in a Member State of the European Union, foreign jurisdictions can request the taking of evidence in Luxembourg according to Council Regulation (EC) No. 1206/2001 of 28 May 2001 on cooperation between the courts of the Member States in the taking of evidence in civil or commercial matters (the Evidence Regulation). Luxembourg is also a party to the Hague Convention on the Taking of Evidence Abroad in Civil or Commercial Matters of 18 March 1970 (the Hague Evidence Convention), which would regulate requests from non-EU jurisdictions that are a party to the Hague Evidence Convention. Both the Hague Evidence Convention and the Evidence Regulation operate in a similar manner. Luxembourg's central body that has the authority to receive letters of request under these two instruments is the Public Prosecutor's Office with the Superior Court of Justice. Letters rogatory, and their supporting documents, should be drafted in, or translated into, French or German and must comply with a number of formal requirements.67 They normally need to be approved by the Public Prosecutor's Office, which will transmit the request to the competent authority. There is no remedy against an order of refusal from the State's Public Prosecutor.68 If the request is urgent, it can be addressed directly to the competent authority for immediate performance. Transfer of the seized evidence or objects is subject to approval from the judges' chamber.69 Such approval includes a decision on lawfulness. International confiscation and restitution requests are performed once they have been rendered enforceable by the Criminal Court.71 If confiscation is recognised, the ownership of the confiscated assets is normally transferred to the state. 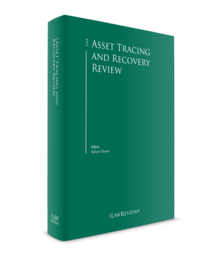 Assets that are subject to an enforceable restitution request are transferred back to the fraud victim. The procedure is subject to the usual safeguards such as public policy, due process and third-party interests.72 Confiscation and restitution requests made in conjunction with a political offence cannot be rendered enforceable according to Article 663 of the CCP. In civil matters, a fraud victim can also opt for third-party attachments as outlined above. Such an enforcement order must be served on the party against which it has been issued to permit the defendant to appeal within one month of service, if a Luxembourg resident. Any other civil or commercial judgment issued by a jurisdiction that has no international agreement with Luxembourg in this respect will have to be declared enforceable by the district court.76 Common civil procedure applies in this case, meaning that the defendant is put on notice. A defendant could also argue against the enforcement of a foreign judgment by appealing to the notion of public policy in the context of a fraud, or try to invoke the maxim fraus omnia corrumpit. Directive 2014/42/EU of the European Parliament and of the Council of 3 April 2014 on the freezing and confiscation of instrumentalities and proceeds of crime in the European Union came into force on 19 May 2014 and has been transposed in Luxembourg by introducing, inter alia, extended confiscation. In recent years, investor rights in relation to fraud by company management have also been strengthened by the introduction of a minority shareholder derivative suit against company directors, and by reinforcing the management expert procedure (both described above). 1 François Kremer is a partner and Ariel Devillers is a senior associate at Arendt & Medernach. 2 Article 1134 or 1382 and 1183 of the Civil Code (CC). A fraud victim cannot bring both a claim for tort and a claim for breach of contract simultaneously. It can, however, make a primary and a separate secondary claim (conditional upon the first claim being dismissed). 5 Olivier Poelmans, Droit des obligations au Luxembourg, p. 324 et seq., Nos. 256–261. 7 'Undue' means that no prior claim was mature, or if a prior claim did exist, the payer paid anyone but his or her creditor, or that the payee received a payment from anyone but his or her own debtor. 9 Article 496 et seq. CrimC. 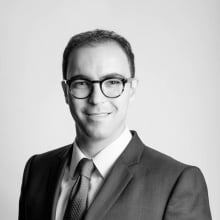 11 David Giabbani, L'abus de bien sociaux: état de la jurisprudence, JurisNews Droit pénal et procédure pénale Vol. 1 – No. 3/2012. 15 Georges Ravarani, La responsabilité civile des personnes privées et publiques, 3rd edition 2014, No. 1390, p. 1298. 16 Pascal Ancel, Contrats et obligations conventionnelles en droit luxembourgeois, e-pub, No. 1049 et seq. 20 CA, 5 November 2013, No. 539/13 V, JTL 2014, No. 33, p. 78. 21 Article 637 of the Code of Criminal Procedure (CCP). 23 CA, 7 November 2012, BIJ 2/2014, p. 46. 24 Article 7(1) of Regulation (EU) No. 655/2014, in a way very similar to the risk of the dissipation criterion applicable in some jurisdictions. 25 Article 12 of Regulation (EU) No. 655/2014. 26 Article 14 of Regulation (EU) No. 655/2014. 32 Article 55 of the New Code of Civil Procedure (NCCP) and Article 1315 CC. 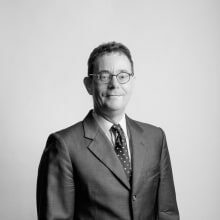 34 Thierry Hoscheit, Le droit judiciaire privé au Grand-Duché de Luxembourg, Paul Bauler, 2012 edition, No. 663, p. 350. 35 Marc Kleyr, 'La production forcée de pièces par voie de référé dans un contexte international: la pre-trial document discovery à la Luxembourgreoise', Journaux des tribunaux 2011, No. 13, p. 19. 36 Court of Appeal, 10 May 2017, No. 81/17 – VII – REF. 37 DC Lux, 8 May 1992, Judgment No. 204/92; DC Lux, 7 July 2005, BIJ 9/2005, p. 176. 40 Article 66-2 and 66-3 CCP. 44 The list of predicate offences is contained in Article 506-1 CrimC and includes offences such as market manipulation, fraud, trafficking, insider dealing and, since the law of 23 December 2016, also tax evasion or tax fraud. 45 David Giabbani, L'infraction de blanchiment, JurisNews Droit pénal des affaires, Vol. 2 – No. 1/2013, p. 20. 46 DC Lux, 20 November 2008. 49 Article 445 of the Commercial Code (ComC). 50 Jean-Pierre Winandy, Manuel de droit des sociétés, Legitech edition 2011, p. 891 et seq. 53 Statutory directors as well as de facto directors (including immediate or ultimate shareholders). 56 DC Lux, 21 March 2014, Judgment No. 659/14, docket Nos. 140.268, 141.259, 148.246 and 148.361. 57 Article 573 to 578 ComC. 59 CA, 9 February 2000, Pas 31, p. 301. 60 Article 310 et seq. NCC. 61 Regulation (EC) No. 593/2008 of the Parliament and of the Council of 17 June 2008 on the law applicable to contractual obligations. 62 Regulation (EC) No. 864/2007 of the Parliament and of the Council of 11 July 2007 on the law applicable to non-contractual obligations. 63 Articles 10 and 12(e) Rome I Regulation. 64 Luxembourg's declaration to the Hague Evidence Convention. 65 Inter alia, the European Convention on Mutual Assistance in Criminal Matters of 20 April 1959. 66 Article 1 Mutual Assistance Law. 67 Articles 4 and 5 Mutual Assistance Law. 68 Article 3 Mutual Assistance Law. 69 Article 9(2) Mutual Assistance Law. 70 Frédéric Lugentz, Jacques Rayroud and Michel Turk, L'entreaide pénale internationale en Suisse, en Belgique et au Grand-Duché de Luxembourg, p. 823. 71 Article 659 et seq. CCP. 72 Articles 663 and 664 CCP. 73 Article 32 of Regulation (EU) No. 2015/848 on insolvency proceedings. 74 Such as the Hague Convention of 1 February 1971 on the Recognition and Enforcement of Foreign Judgments in Civil and Commercial Matters (the Hague Enforcement Convention). 75 Article 679 et seq. NCCP. 76 CA, 23 October 1957, Pas. 17, p. 177, cited in Jean-Claude Wiwinius, Le droit International privé au Grand-Duché de Luxembourg, 3rd edition, No. 1619, p. 340. 77 Article 5(3)(8) of the Criminal Enforcement Law. 78 For example, in compliance with Article 6(2)4 of the Criminal Enforcement Law, Article 45(1)(b) of Regulation 1215/2012 and Article 5(1) and (2) of the Hague Enforcement Convention. 79 Jean-Claude Wiwinius, Le droit International privé au Grand-Duché de Luxembourg, 3rd edition, No. 1611, p. 338.